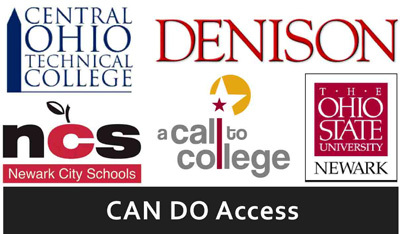 CAN DO Access, an acronym for the innovative partnership between Central Ohio Technical College, A Call to College, Newark City Schools, Denison University and The Ohio State University at Newark launched in 2008. The leadership of each partnering organization signed a memorandum of understanding to collectively apply for and share the talents of three AmeriCorps*VISTA volunteers to support the start of PEAK. A sixth key supporter, Ohio Campus Compact, made this plan a reality by awarding each campus VISTA positions from 2009-2012. Kids Tech Returns To Licking County! NHS graduate, Stacey Cartnal, works in the COTC Office of Admission and serves as the admission counselor responsible for student recruitment at Newark High School. She also partners with A Call to College with the 6th grade outreach and College Application Blitz. Brent Smith, NHS Parent '15, '20, will serve as a volunteer advisor this fall. Mr. Smith is a Leader on Loan from Denison University. On campus, he works in the Office of Safety and Security. 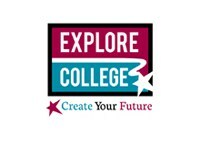 The opportunity for parents to participate in EXPLORE College will once again be offered to Newark City School families by Ohio State Newark. For the fourth straight year OSU Newark will partner with The Works, Denison and all Licking County schools to target 9-12 year old students to participate in a special program called Kids Tech University. While their students are attending Kids Tech U, family members will experience EXPLORE College programming. Last year almost 60% of the program registrants were Newark City School students.